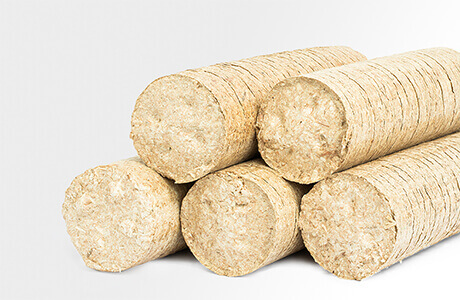 Our environmentally sustainable wooden briquettes are manufactured from dry, untreated timber wastes, such as planing chips or saw dust. Due to the high-pressure pressing process, the briquettes are free of binders. The extremely high compression gives the natural wood excellent burning characteristics without the negative properties of fossil fuels, such as high ash and sulphur content.